Tracy Morgan is back. It has been a rough year for the comedian, who was apart of a large traffic collision accident that resulted in the death of Morgan's close friend. But, he's returning to his home, 30 Rockefeller Plaza, on Saturday, when Saturday Night Live welcomes back Tracy Morgan as host for the night. 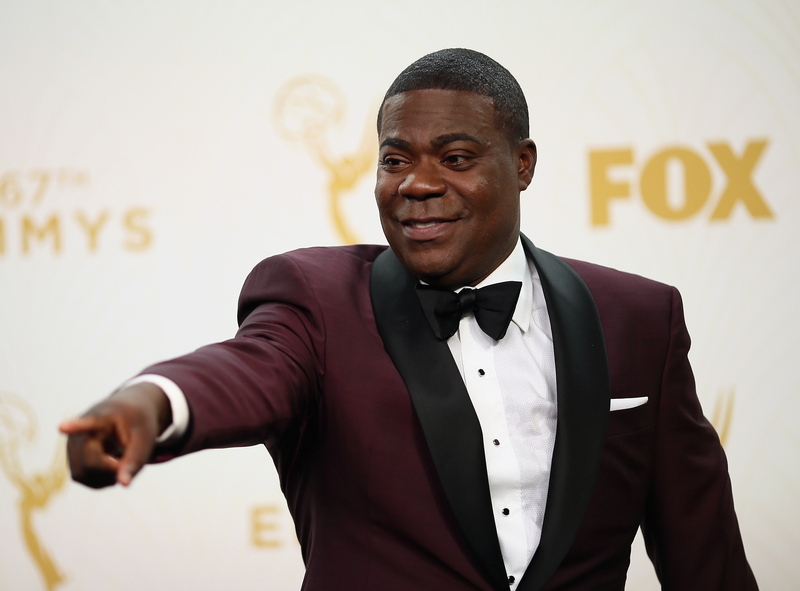 Fans of the actor will be excited to have him return to the place they probably fell in love with him, but also might be wondering if Tracy Morgan is filming anything in Hollywood at the moment. Well, it's been a long road, but Morgan is back and ready to make you laugh with a brand new movie. After taking time to recover and heal from his own personal injuries from the accident, Morgan has returned to the comedy scene full-force. Not only will he be hosting Saturday Night Live— praise — but he will also be starring in a very funny movie — set to come out in 2016 — called Fist Fight . So what can we expect from Morgan's return — other than the now familiar comment about getting everyone pregnant? Here's what we know about Morgan's upcoming film Fist Fight. Fist Fight has an all-star cast that Morgan will definitely have a fun time filming with. Joining Morgan on the cast is Ice Cube, Horrible Bosses’ Charlie Day, Mad Men’s Christina Hendricks, Reba’s Joanna Garcia Swisher, Breaking Bad’s Dean Norris, and Workaholics’ Jillian Bell. It appears Morgan will be playing an athletic coach or gym teacher from a photo on People (or just a guy with an affinity to wear a whistle around his neck). While we don't know all the details about Morgan's return to the big screen, I think we can all agree that it is good to have him back in movies and at Saturday Night Live.